I'm thankful for my experiences in FFA. FFA taught me responsibility, leadership, public speaking skills and a "can do" attitude. It allowed me to meet so many friends across the state, travel the nation, live in our nation's capital for a summer and work with & for some of the best people I can think of. 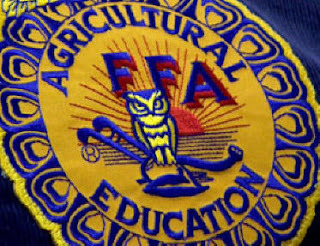 Join us tonight at the Stanfield & Echo FFA Auction! $5 tri-tip dinner, live & silent auctions, raffles and more!